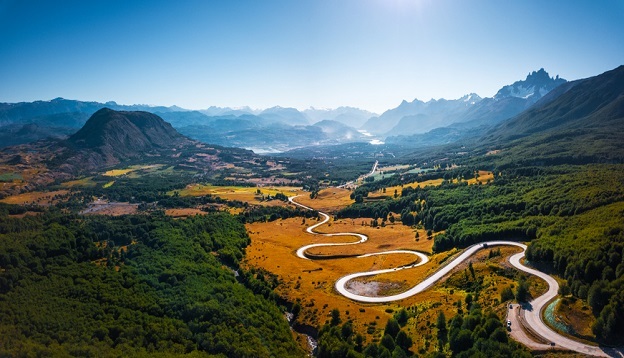 The southernmost region of South America, shared by Argentina and Chile, is the prime destination for nature-lovers and active travellers who head to the continent at the end of the year. They know that during the Austral summer, between November and March, Patagonia is at her most resplendent. Her lakes shimmer in an abundance of sunlight, her mountain peaks appear crystal-clear against a deep-blue sky and all her hiking trails, glaciers, fjords and wildlife reserves are easily accessible. Don’t let us fool you into thinking Patagonia is like a tropical treasure in summer – this far south the weather is always unpredictable and temperatures can still be very low – but if you want to explore this vast region with the best chance of clear skies and bearable temps, then summer it is. With a healthy smattering of gorgeous lodges in which to stay and picturesque villages to explore, Patagonia offers a phenomenal array of experiences. There’s no doubt that Patagonia is South America’s hiking capital, the enormous region offering epic trails through some of the most arresting wilderness on earth. 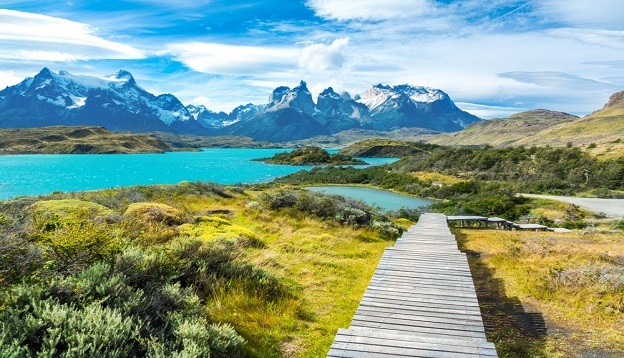 The most popular destination for hikers is Torres del Paine in the south-west, famous for its high granite peaks, sapphire lakes and abundance of Patagonian wildlife. There’s a trail here to suit (almost) every hiker, with half day and week-long treks offering a multitude of visual feasts. You can walk to a viewpoint, a glacial lake, to the tip of a vertiginous mountain and through valleys carved among impossibly high peaks. There’s SO much to see and do here that no matter how many days you decide to dedicate to this park, it’ll never feel like it’s enough. Torres del Paine is, without a doubt, one of the most captivating sites in all of Patagonian. 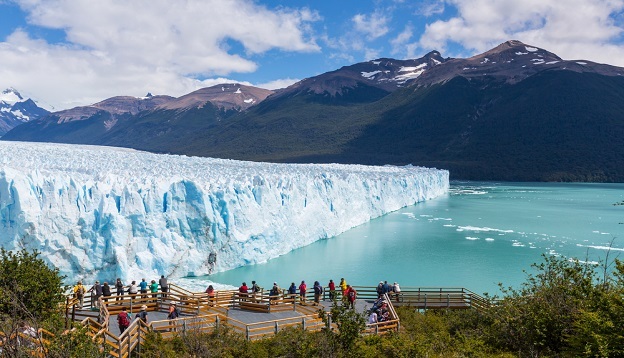 The Instagram darling of Patagonia, the Perito Moreno Glacier is renowned for putting on quite the show in summer, when ginormous chunks of ice calve off its face to splash ceremoniously into the lake below. The national park that frames it, Los Glaciares, is an icy wonderland of epic proportions: at almost 7,000 square kilometres, it is the largest reserve in Argentina, just north of Torres del Paine. Perito is only one of the park’s highlights – there are at least another 350 spectacular glaciers to see here as well as jaw-dropping peaks to admire, the most famous of which is Mt Fitz Roy. In Los Glaciares, you can hike to your heart’s content and walk on glaciers, take tours by 4Wd, join a horseback riding tour, a sport-fishing excursion, a boat sightseeing trip or simply find a cosy wind-covered spot to soak up the sight of the Southern Patagonian Ice Filed. After Antarctica and Greenland, this is the world’s 3rd largest ice field and it is one of our planet’s true natural wonders. Patagonia is certainly a wildlife haven yet very few spots are as rewarding as the Valdes Peninsula. 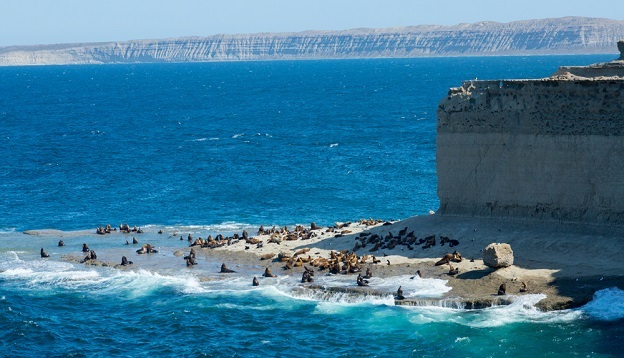 The crown jewel of Patagonia’s Atlantic coast, the Valdes is a breeding and feeding hive for Southern right whales between June and October although orcas, elephant seals, fur seals, dolphins and sea lions can be seen all year round. Nearby is a gargantuan colony of Magellanic penguins – over 200,000 breeding pairs vacation here between September and March each year – the largest colony of the species in the world. The most rewarding way to soak up this marine life madness is to plan a visit that includes both land and sea-based excursions. If you’re feeling a bit exhausted just reading about the adventures Patagonia has in store, now would be the time to take a blissful respite in Bariloche. Watch out, however, this town is addictive! 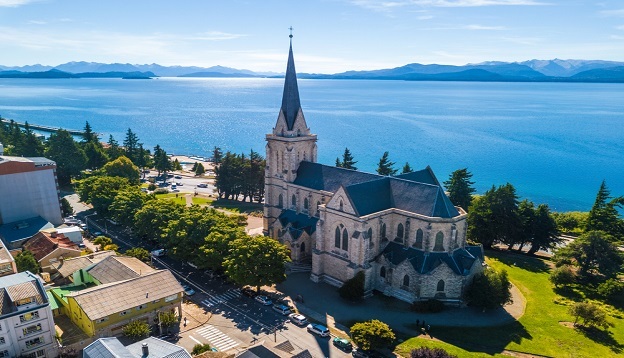 With its gorgeous architecture and bevy of historical attractions, Bariloche certainly is the kind of place one could spend endless days exploring. The revered chocolate-capital of Argentina is also (unsurprisingly) a mecca for active adventures, who head here in winter to ski the stellar slopes and in summer to hike, kayak, horseback ride and mountain bike its natural surroundings. Set on the shores of the Nahuel Huapi Lake and framed by its namesake national park, Bariloche is a foodie delight bar none and offers a wealth of varied attractions aside from a splendid setting. 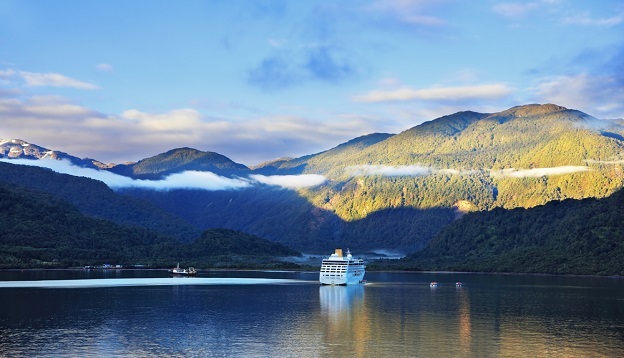 A luxury expedition cruise through the Chilean Fjords of Patagonia is about as marvellous as travel could ever get – you can soak up the glories of the region in comfort (and warmth!). The channel of fjords in the far south of Patagonia is framed by ice-capped Andean mountains, stretching for an astonishing 1600km west from the Beagle Channel. Volcanic peaks, massive waterfalls and extravagant glaciers are the calling cards of the Patagonian fjords, a place that attracts marine life with abandon. On expedition cruises, you can head off to explore the most secretive nooks aboard inflatable Zodiacs and hop ashore to tackle rewarding hikes or to visit picturesque little towns. Often considered Patagonia’s secret jewel, the Chilean Fjords are exceptional to explore by boat. The southernmost city in Patagonia, and the world, Ushuaia is the best springboard for expedition cruises to Antarctica. From here, ice-strengthened ships leave during the summer to tackle the 2-day crossing of the infamous Drake Passage, guiding adventurers on the trip of a lifetime to the southernmost continent on earth. But Ushuaia is no mere base-point for further adventures, mind you. 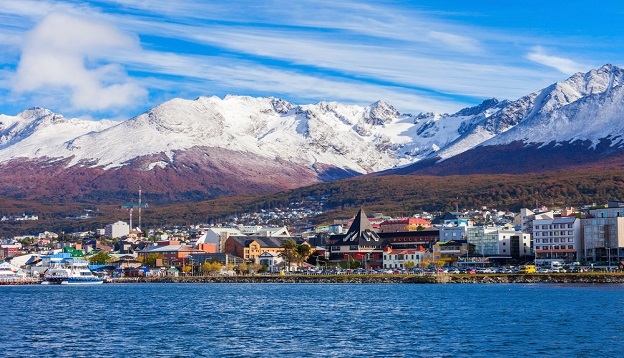 The ‘city at the end of the world’ is also the springboard for trips around Tierra del Fuego, that superb southern Patagonia island that often gets overlooked. Covered in pristine forests and dotted with mountains, lakes and glaciers, Tierra del Fuego is an astounding place to explore, especially in autumn when the whole landscape transforms into a magical canvas of colours. If we were to be brutally honest, we’d admit that this list of highlights could go on forever and a day. Patagonia is huge (twice as big as the UK, in fact) and the treasures to be discovered here are nearly endless. So consider this an entrée, if you will, a mere teaser – just like you could spend weeks if not months on end discovering new amazing wonders in Patagonia, we could spend months on end listing them all! So why not discover Patagonia for yourself? Head on over to our Patagonia Tours page and see how many incredible journeys we offer – by plane, by road and by expedition ship. Come meet the wildlife of Patagonia, come see her striking mountains and her ridiculously beautiful wilderness and we bet you’ll fall in love with this region of South America – just like we did. Begin your epic journey in Santiago, the vibrant cosmopolitan capital of Chile before you travel south through the heart of the wine region. Arriving into the remote Patagonian expanse we explore the southern ice fields, breath-taking glaciers and the magnificent snow-capped Andes mountain range before arriving in Ushuaia, the most southerly city in the world. This is a voyage of intense natural beauty and a chance to be at one with the great outdoors in some of its finest natural states.